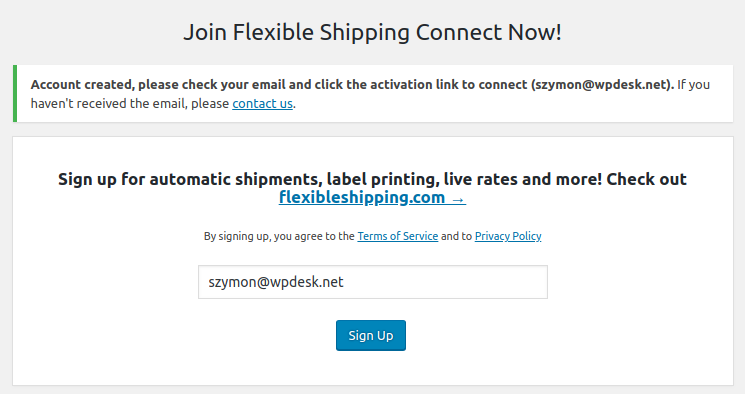 You can register a new FS Connect account only from Flexible Shipping plugin in your store! or click the Settings link under the plugin's name on the plugins list. Once you click the link, you'll be redirected to the settings screen. You can find the Register link there. Once you click the link or the Sign up for Connect button, you'll see a new screen. Here you can register for a new FS Connect account. 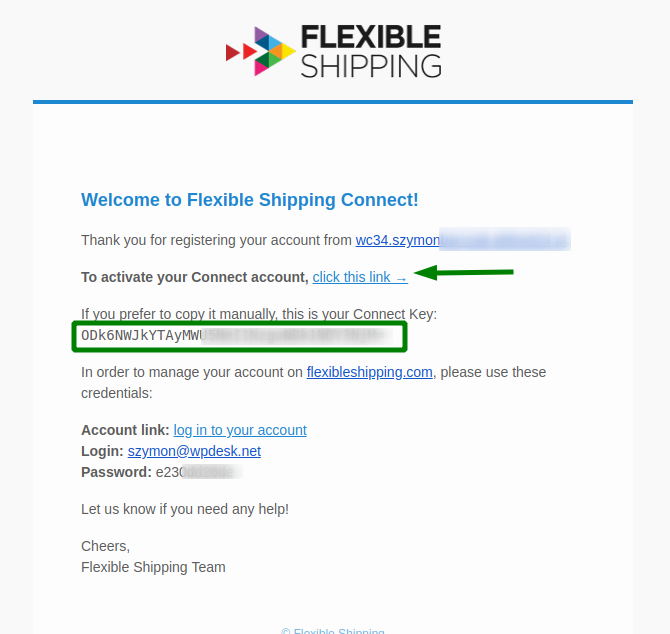 As you see in the screenshot, you need to provide your e-mail address. By default, this field is already filled with an e-mail address of a store's admin. 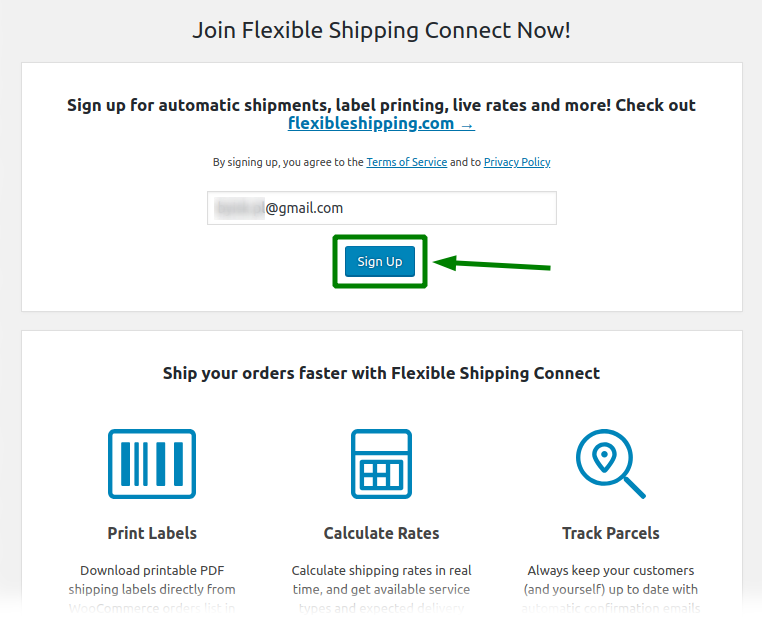 Click Sign Up button to proceed. 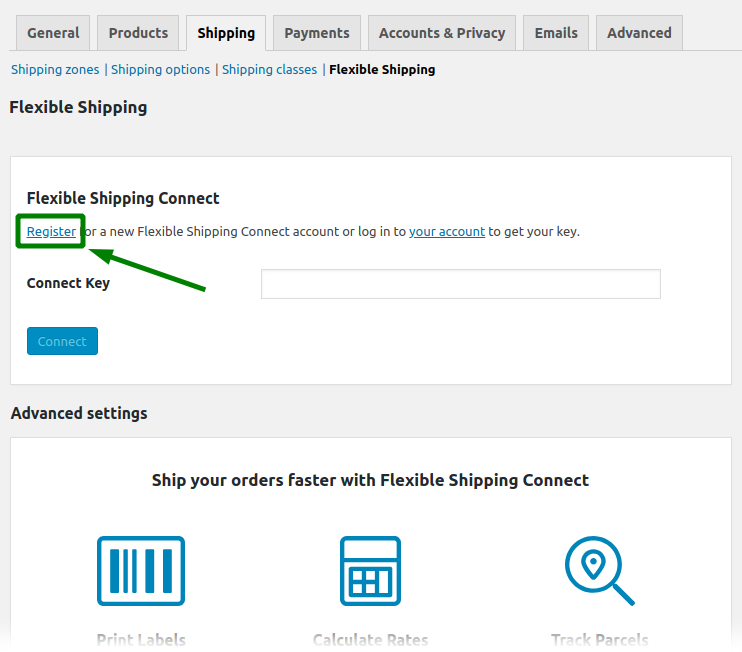 (If you've got an error during signing up, try out Troubleshooting). Once you successfully sign up, you'll get your Connect Key. We'll send you the Key to your email inbox. 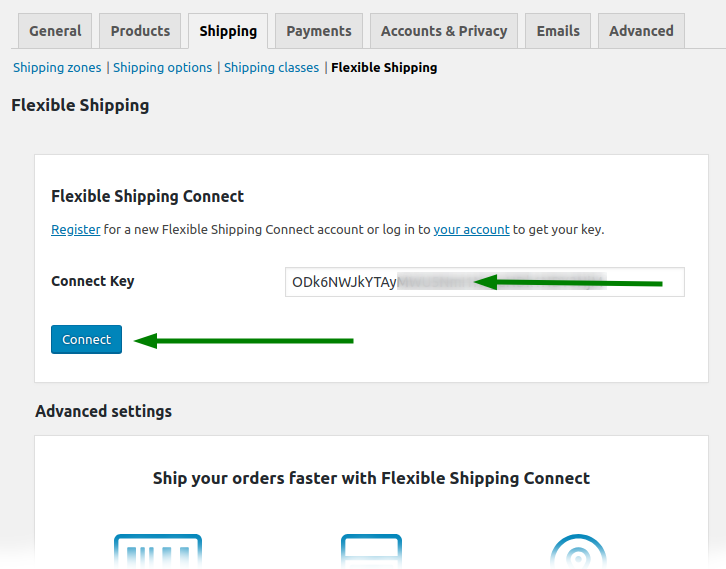 You can use your Connect Key to all your stores, not only the one where you registered an account. That's all. You have successfully registered an FS Connect account! Now you're ready to configure the first carrier. An account in FS Connect will be registered for the testshop.com store. After moving the page to production, you need to delete the definition from wp-config.php.